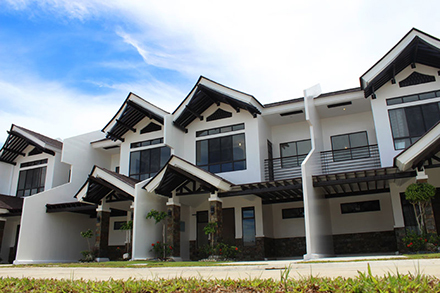 [/vision_one_third] [vision_two_thirds] Argao Royal Palms is not just a place to live, but a place to play and enjoy the best things in life. 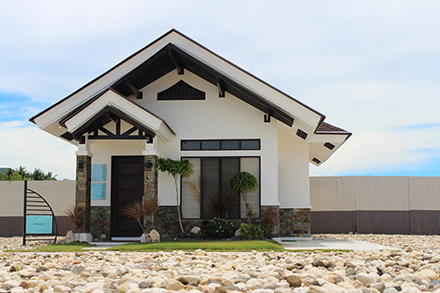 Here you will find your own private villa tucked away in the coastal town of Argao. This ideal summer getaway is where your family can indulge in premier amenities which include an oceanfront clubhouse with an infinity pool, an aqua golf range, a fitness gym, sauna and jacuzzi, and a beach area. 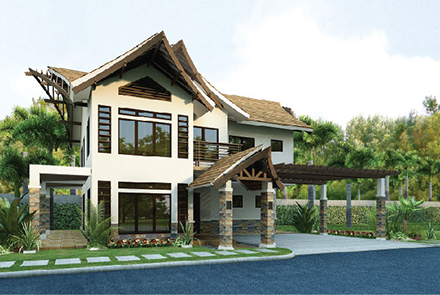 This exclusive residential community mixes that familiar suburban living within a rejuvenating resort milieu. 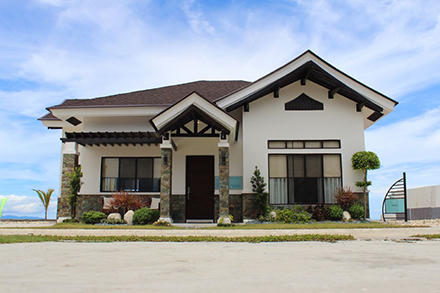 Every abode has an Asian-contemporary design that exudes laid-back luxury. Life is About Treasured Moments. Imagine a place where sand and sea come together, where you can feel the ebbing waves beneath your feet as you frolic with your kids around sand castles. It is where you can find your own private alcove for reflection and meditation. A haven where you create fond memories with your family. Rekindle bonds with loved ones, and be pampered with the best things life has to offer. Moments like these are possible at Argao Royal Palms. 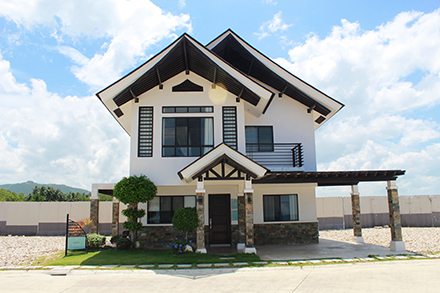 In Tropical Flats at Argao Royal Palms your family can have a vacation condo unit by the sea. Relax, bond and lounge on the beach and get to enjoy the development’s resort-like amenities. All units are inspired with Asian Comtemporary theme, with large window opening to treasured moments. Discover them here. Infinity Pool » A sundown dip at the infinity pool will surely take the edge off. Ocean Front ClubHouse » Take time to appreciate the abudance of nature as you go on a quite stroll or socialize and lounge with cocktails at the oceanfront clubhouse to celebrate life’s little pleasures. Aqua Golf Range » Make it a morning habit to practice that elusive perfect swing at the aqua golf range. Fitness Gym » Invigorate your body and tone your physique as you embrace a healthy lifestyle at the fitness gym. Sauna and Jacuzzi » Spend intimate moments at the sauna and Jacuzzi to end the day with blissful respite. 86 sq. m/ 925 sq. ft.
90 sq.m/ 968 sq. ft.
56 sq. m/ 602 sq. ft.
150 sq.m/ 1.614 sq. ft.
80 sq. m/860 sq. ft.
225 sq.m/ 2421 sq. ft.
171 sq. m/ 1,839 sq. ft.
180 sq.m/ 1.937 sq. ft.
218 sq. m/2,346 sq. ft.
246 sq.m/ 2.647 sq. ft.